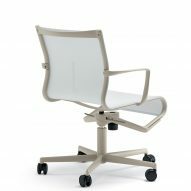 Dezeen promotion: Italian engineer Alberto Meda has improved the popular Frame office chairs he designed for furniture brand Alias, by adding new mechanisms that enhance their ergonomics. 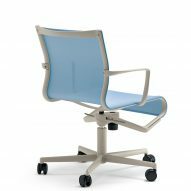 Meda first created the Frame chair for Alias in 1994, which he later developed to create two office chairs: the Rollingframe and the Meetingframe. For Alias' Frame 52 collection, the engineer has redesigned the frameworks of these two chairs. 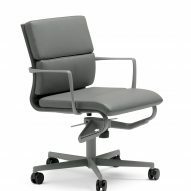 The aim was to make them more comfortable in a range of positions without compromising their "formal lightness". 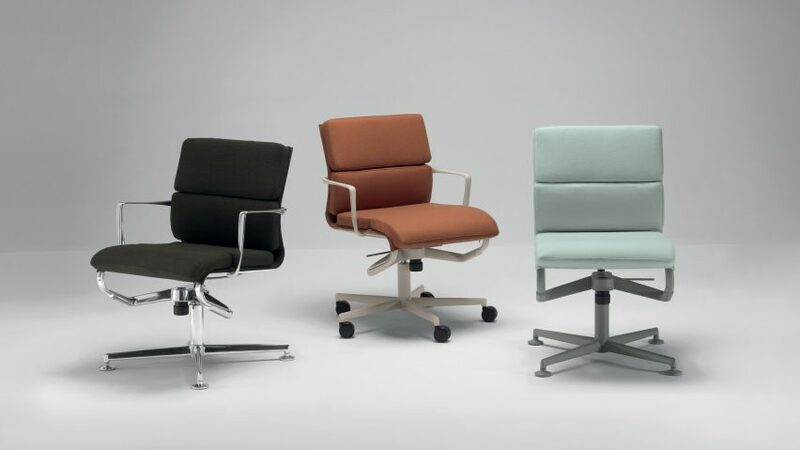 "The Frame 52 collection was created by analysing the proportions of contemporary seats and the changes that have taken place in the typical construction of the office chair," said Alias. "To meet these new requirements, [we] asked Alberto Meda to study a new system of bases and mechanisms that would make it possible to increase the width of the seat by 10 per cent." Meda developed two new bases, both designed to be as flat and slim as the physical strength of the parts will allow. 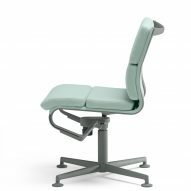 These bases, which can be easily adjusted in height, both adopt an oscillating tilt mechanism that allows the seat and backrest to move in sync with one each other, and to follow the movements of the sitter. The hardness of the spring that controls the tilting mechanism can be adjusted in relation to a user's weight. 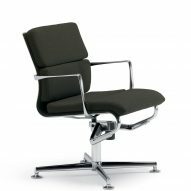 Similarly, the seat is now slightly larger, with a width of 70 centimetres, to ensure it is comfortable for people of all shapes and sizes. 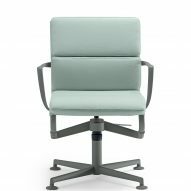 The chairs have a structure made from extruded and die-cast sections of aluminium, which comes in three different finishes: chrome, polished or stone-enamelled. For the Meetingframe, this frame is supported by rounded feet, while the Rollingframe is raised up on wheels. 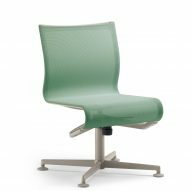 A polyester mesh comprises the chair seat and back, which can covered be covered in a choice of fabrics including PVC, hemp-covered PVC, Kvadrat textiles or leather. 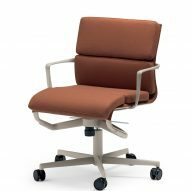 Frame 52 additionally has a "soft" range to choose from, featuring four cushion sections – two on the seat and two on the back – for optimal comfort. 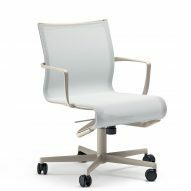 These also come in Kvadrat fabric or leather. The chairs are available with or without arms. 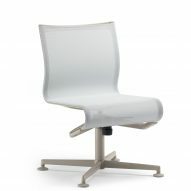 Based in Italy, Alias first launched in 1979 with Giandomenico Belotti's Spaghetti Chair. Today, Frame is one of the company's biggest sellers. 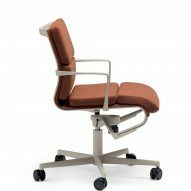 The brand launched the Frame 52 office chair collections at Orgatec 2016, the Cologne trade fair that focuses on office design and furniture. 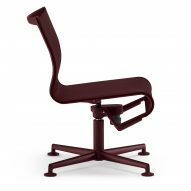 "The new proportions of the Frame 52 collection makes these chairs ideal for informal technical seating, home office and operational office premises," added Alias. To find out more, visit Alias' website.